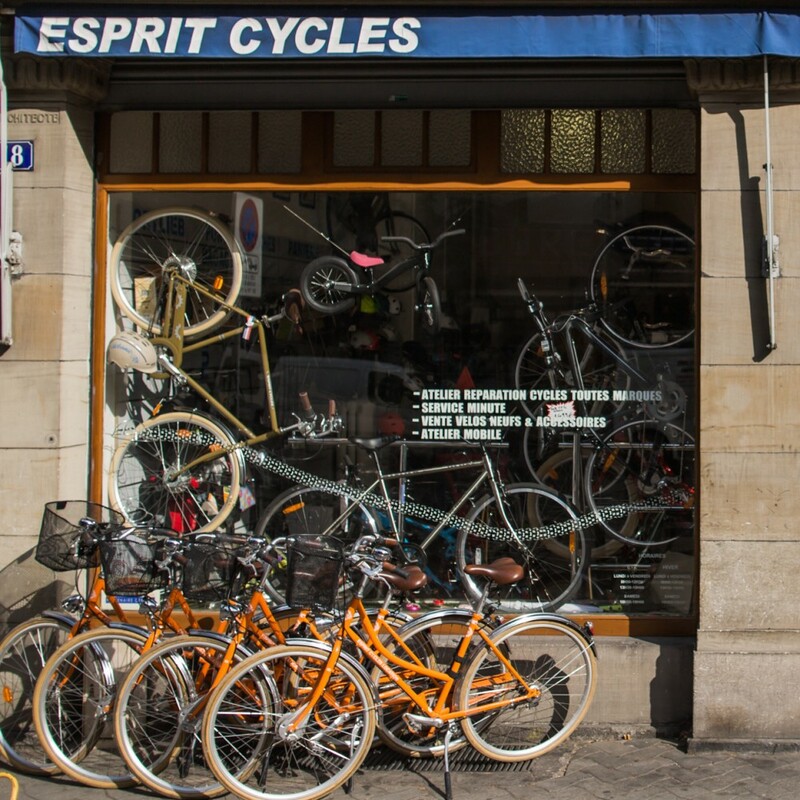 Esprit Cycles, it’s a shop close by, no matter where you live in Strasbourg. Find us at our 4 shop locations: Krutenau, Neudorf-Meinau, Quartier des Quinze (avenue de la Forêt Noire) and Halles-Tribunal (rue du Faubourg de Pierre). Our customer service is our trademark! Take advantage of our expertise: fast, quality-service bike repairs! Find a wide range of bikes for every budget. Discover the different areas of expertise among our 4 different boutiques. Take advantage of our Rent your bike service at any time. And for professionals we offer specialized à la carte solutions to fit your needs. We just had to have a space dedicated to the universe of cargos! It’s brand spanking new (with the final touches still being made), located at avenue de Colmar near the Krimmeri tram and train stop. This 200m2 location allows us to present to you a fleet of tandems, cargo bikes, 2 wheel cargo bikes, 3 wheel cargo bikes and tricycles, for every use, to try out or rent! 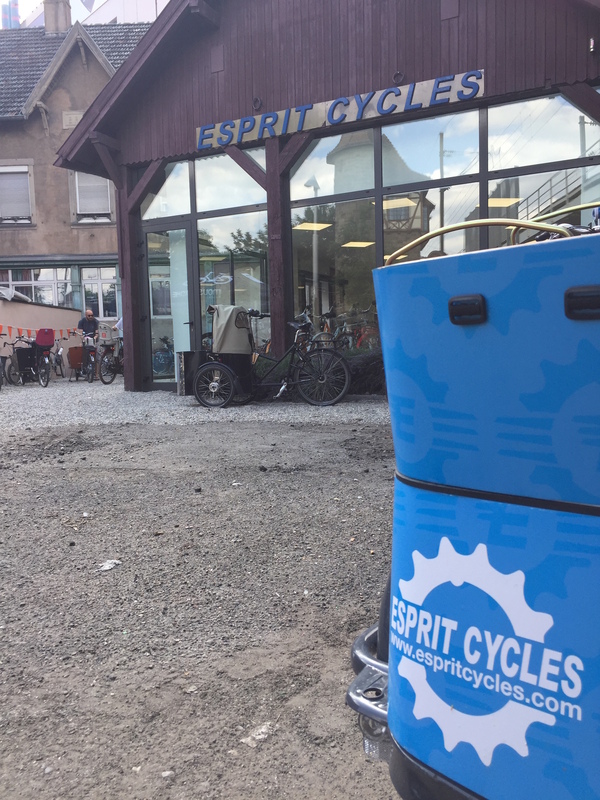 Of course you’ll also find all our usual services of fast repairs, our very own Esprit Cycles collection of bikes, made by Arcade Cycles according to our specs, balance bikes and kids bikes and our selection of accessories. A lovely 160 square-metre space for our shop and repair shop! As usual, you’ll find all our usual services of fast repairs, our very own Esprit Cycles collection of bikes, made by Arcade Cycles according to our specs, balance bikes and kids bikes and our selection of accessories. You’ll also find an entire universe dedicated to electric bikes, as our shop is an official pro shop for Moustache et Bosch. Since 2017 the shop has also become a nationally-recognized Expert Bosch centre and with the expertise of Moustache, we’re able to offer you the latest and best in the world of electric bikes. We moved in to this location in 2011, at the beginning of the avenue just when our respected confrere, Perre Rehm, who had animated the neighborhood from his boutique rue de Louvain, decided to retire. 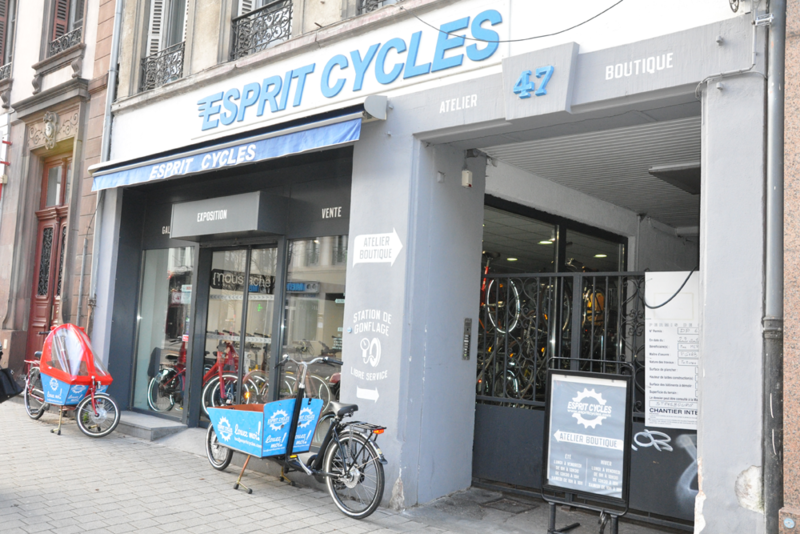 At this location we offer our quick bike repair service, our collection of Esprit Cycles bikes fabricated by Arcade Cycles, push-bikes and children’s bikes and our selection fo accessories. You’ll also find that this is a specialty shop for: versatile crossover bikes, bicycle touring, sporty mountain bikes and more. Our partners are: Trek, Kreidler, FahrradManufaktur. Are you working on a personal DYI project, fixing up your own bike? Come give us a visit! Are you into beach cruisers ? We can offer you a selection of Electra cruiser bikes. Here is where it all started in 2006. We call it the arena because the rhythm is quite fast-paced. 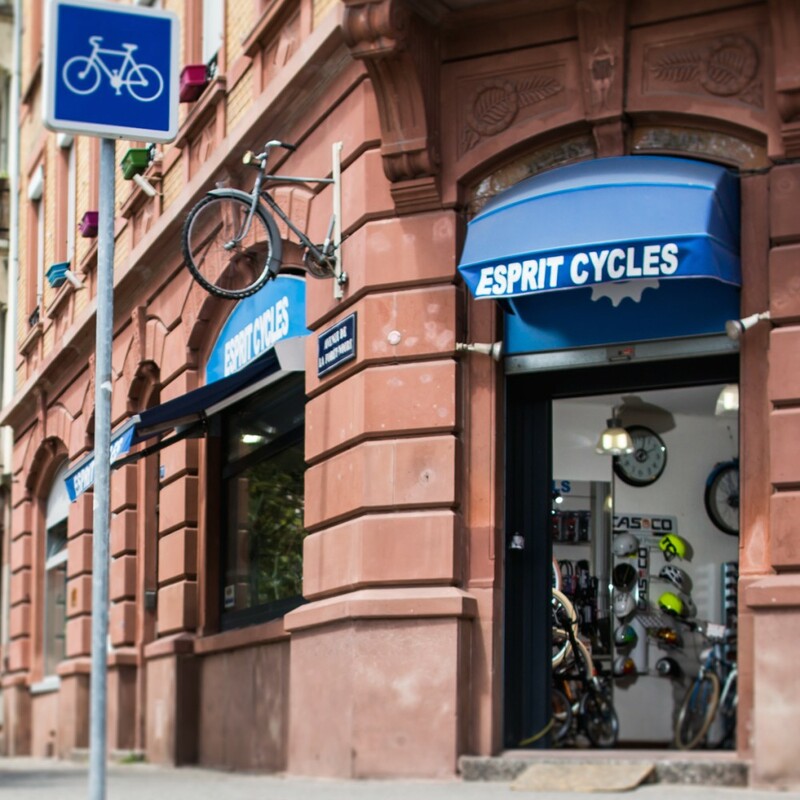 We offer our quick bike repair services, our collection of Esprit Cycles bikes fabricated by Arcade Cycles, push-bikes and children’s bikes and our selection fo accessories. This shop specializes in: Dutch bikes, both robust and comfortable. You can also find our Esprit Cycles collection of bikes made to order by our partner Azor. Le vélos hollandais, si confortable et robuste. Des vélos Esprit Cycles fabriqué à la commande par notre partenaire Azor. And of course, the Brompton, the famous foldable bike.